Starting from Delhi to the rocky terrains of Leh, this is one of the most exciting and dangerous motorbike tours in India. Starting from NH1 towards Chandigarh, the trip might not appear to be a mountain bike trip, but once the journey proceeds towards Manali, the real trip starts. 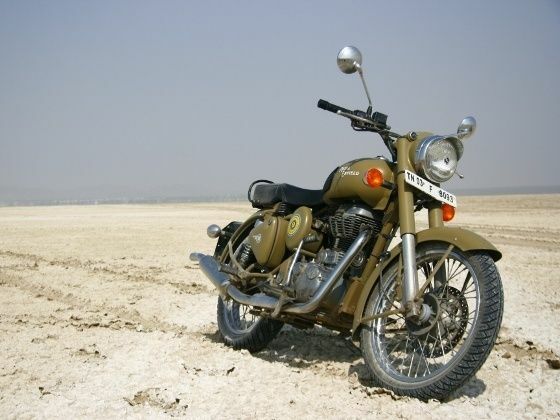 The journey from Manali to Leh is one of the toughest bike journeys in India. With unpredictable roads and heart-wrenching terrine heights; even the most experienced biker can face hindrance while biking in these regions. However, the duration might increase due to changes in weather conditions. During the journey, the bikers will have to pass through the highest motor-able pass in the world; Khardung La, which is the toughest part of this trip. One of the ideal mountain bike trips in the world, this trip can give an opportunity to ride the snowy mountains and regions of Ladakh. The bikers will come across some beautiful as well as breath-taking passes like Rohtang Pass, Gramphu and Baralacha La. 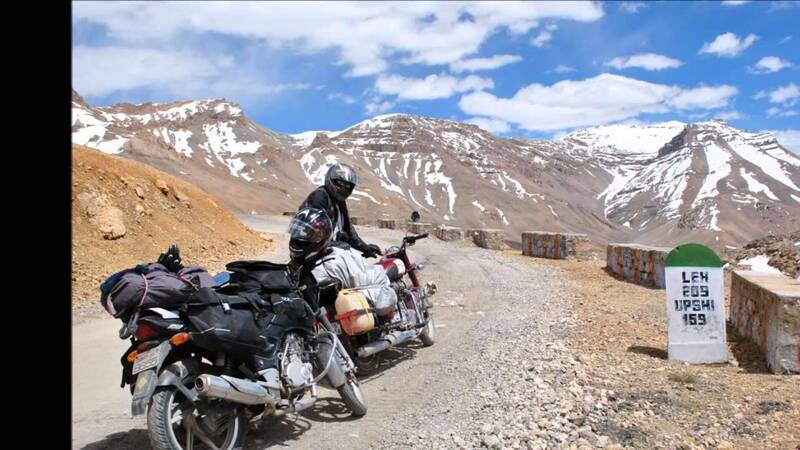 Once Lehi is reached, the bikers will witness the second highest motorable pass in the world, Ladakh. A total feel of ‘Arabian Nights’, this trip will give a perfect admixture of royalty, art and culture of our ancestors. 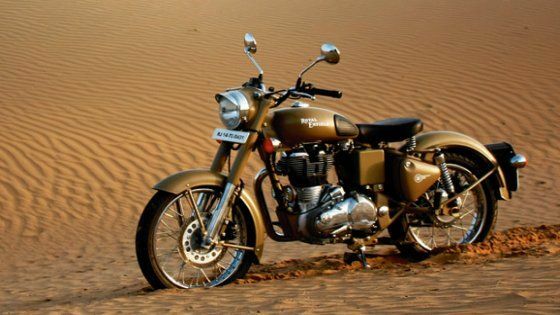 The bikers will witness the dry deserts of Rajasthan. During the journey one can enjoy other location such as Jaisalmer, Jodhpur and Ranthambore. Starting from exotic valleys of Manali, one can enjoy many historic monuments and temples, the hot springs of Vashisht etc. This trip may take around 7 days covering Saharan, Sangla, Chitkul, Reckong Peo, Nako, Kaza and finally back to Manali. The bikers must look for Key Monastery in Spiti Valley; the oldest and the biggest monastic complex in the world. The trip starts with the beautiful beaches of Goa. After roaming around some of the vibrant beaches, it is time to enter the narrow roads towards the hills of Croog. The bikers can have a wide glimpse of Coffee plantations in Croog followed by some intensely dense forests in this route. The adventure becomes more interesting when the bikers reach the Deccan Plateau and enter into Mysore. After exploring the local hubs of Mysore, come to Goa for some taste of Portuguese food and a tint of Goan spices. With the thundering sound of Bullet, you need to explore the misty regions of Northeast India which comprise Assam, Meghalaya, Nagaland and Arunachal Pradesh. The trip will take minimum 17 -21 days to complete. The trip will include rough, hilly and rocky passes, Brahmaputra river valleys, endless rows of tree plantations and one-horn rhinos. Not much explored by the bikers, the tour starts from Darjeeling to the curvy narrow roads covered with dense pine trees on both sides to the capital of Nepal, Kathmandu and Bhutan. The divine beauty of the valleys and risky narrow lanes will give a goose bump whenever a biker passes a tricky road. 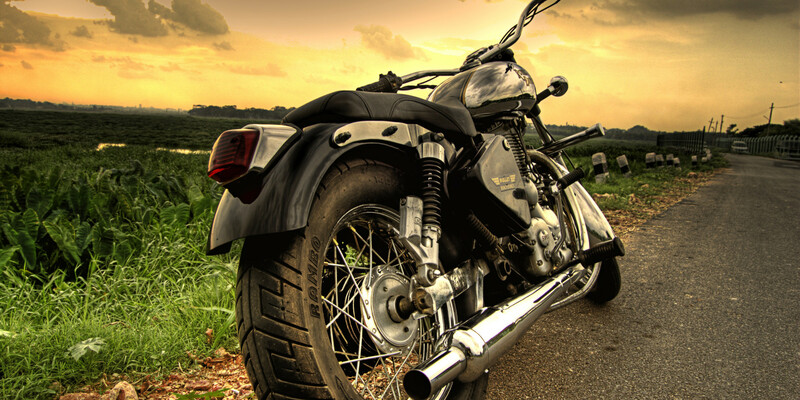 One of the famous tours among motor bikers, these trips include Jaipur, Bikaner, Jaisalmer, Jodhpur, Udaipur, Ranthambore on its way from Delhi. During the journey, one has to admire the Taj Mahal on his/her way to the pink city of India – Jaipur. With vibrant scenic beauty to a variety of wildlife creatures, the motorbike trip to Karnataka should be on the list for every biker. One can find the historic ruins of Hampi to Jog Falls, Badami and Malwan Fort and a wide valley of Western Ghats. If getting bored of biking, one can also enjoy some adventurous rafting activities in the valleys. Starting from the beautiful roads of Cochin, the trip proceed towards the Western Ghats and Kodaikanal. The alluring heights of Ooty will certainly entice you to ride the height of 2000m into the Nilgiri Hills. From there the trip will proceed towards Calicut and finally end in Cochin.